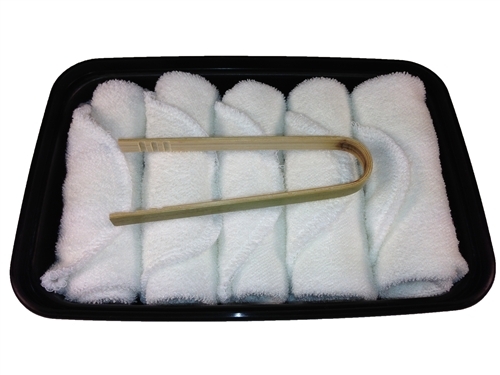 100% bamboo hot towels. Thick and super soft and kind to the most sensitive skin. 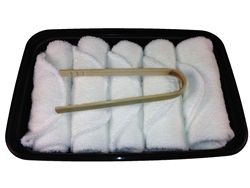 5 towels supplied in a reusable tray.